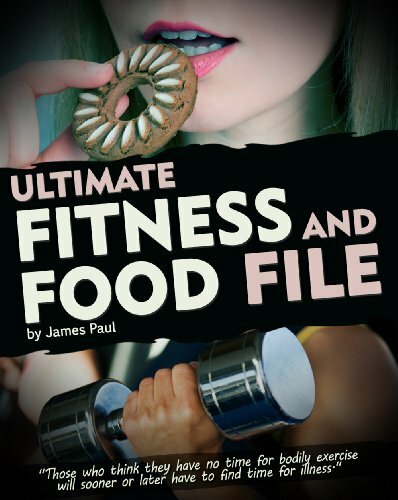 A Girl and Her eBooks: Ultimate Fitness and Food Files by James Paul - FREEBIE! Ultimate Fitness and Food Files by James Paul - FREEBIE! If you think this book is a handful of fitness tips or your typical fitness plan, you are dead wrong. When it comes to solid fitness plans, you need to realize if you actually want to see results, you need to get past doing push ups and crunches. There is a lot more to diet than eating bland, tasteless food. Everything you find in this fitness book can be easily added to any fitness plan or diet menu to really ramp up the intensity, flavor, and definitely the results you can see and feel. And too much more for a serving on the cover! You'll be getting more than 50 fitness tips and concepts that you need to know to really understand muscle and fitness, thus allowing you to attain results – finally! Any of these tips can easily be placed into your weight training system. Actually, you're going to understand 4 new weight training systems that you can implement after your next visit to the sporting good store. Don't delay and deprive yourself of finally seeing results with your fitness plan. Gain an understanding of why your fitness plan is failing and what you can do now to fix it!